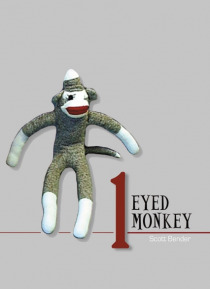 1 Eyed Monkey is a wild assortment of antics written down for your pleasure. Some of you may be frightened. Some of you may be confused, but that may have nothing to do with the stories contained within this book. Join us here within these pages for the ride of your life. We have singing, dancing, drinking and whatever else makes you happy. If you can say, "e;Me Likey"e; then you will… simply adore this book. If the thought of little people makes you all warm inside, then read this book. Its good to read. Its good to be happy. Its good to read and be happy. So, throw on your orange jump suit, swallow a bottle or two of red wine, put on your smoking jacket and dance a jig. By all means, dont forget to join us in our wonderful play land of fantastic flamboyance. Also, please remember to tip your server on your way out.